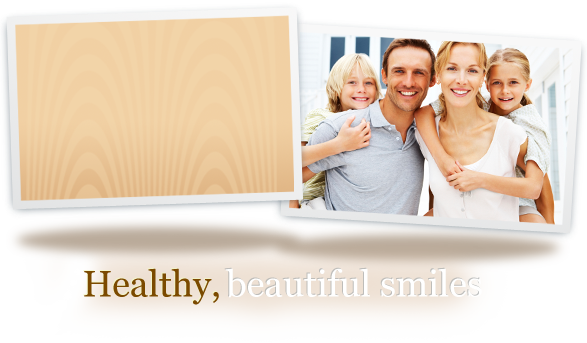 As a family dental practice, we take a patient-friendly approach to restorative dentistry in Fort Myers. We strive to bring the latest in dental technological advances to our patients, allowing you to benefit from time and cost-savings as well as esthetic improvements made in newer techniques. This effort extends to our approach to dental crowns and restorative treatments. A crown is a restorative device that covers a natural tooth. Crowns are often needed when the size of a cavity compromises the tooth’s structure, a tooth becomes cracked or fractured, or when a dental implant is placed. When used over a natural tooth, the crown is securely bonded to the remaining natural tooth to restore comfort and functionality. It’s important to note that crowns are not a permanent solution and may eventually need to be replaced during a patient’s lifetime. As such, it’s important to obtain regular dental check-ups to maintain oral health and ensure the integrity of your dental crown. If a crown becomes loose or cracked, it’s best to repair it as soon as possible to prevent further damage to the underlying tooth. In many dental practices, a crown procedure requires a series of appointments, during which impressions are made and temporary restorations are placed while a dental lab manufactures the permanent restoration. It’s also not uncommon for a restoration to be sent back and forth to the lab until a secure fit is achieved. During this process, a patient has to schedule multiple visits and undergo numerous fittings, all of which end up being a huge inconvenience. Fortunately, the team at Mitchell Dentistry incorporates the latest technology in our dental crown procedures, allowing patients the comfort and convenience of having a permanent crown crafted and placed on the same day. CEREC technology utilizes digital impressions to precisely map a patient’s tooth and mills a permanent crown to a patient’s exact specifications, eliminating the need to go back and forth with a dental lab and allowing our patients to recover valuable time. Dental crowns can be milled from a variety of materials to accommodate various areas of the mouth. Front teeth often require a more aesthetic and natural looking material, while molar teeth can sacrifice the natural appearance for more strength in the crown material. Dental crown materials our practice utilize include e.max, zirconia, bruxer, among others. If you’re in need of a dental crown or considering an updated replacement for an older restoration, contact our Fort Myers dental office and inquire about same-day crowns. We’re happy to provide you with more information about CEREC technology and discuss your treatment options.